The Department of Pediatric Cardiac Surgery at the University Hospital Heidelberg offers the full range of surgical interventions for the treatment of congenital and acquired heart diseases in children of all age groups. The department's specialists serve about 4,500 young patients, and also perform more than 300 operations annually. The department is headed by Prof. Dr. med. Tsvetomir Loukanov. To provide the optimal surgical treatment, the department has operating rooms fitted out with the state-of-art technology, a specially equipped Catheter Laboratory for children, and an Intensive Care Unit. All surgeons in the department have deep expert knowledge, long experience, and regularly undergo advanced training courses to keep abreast of innovative developments in pediatric cardiac surgery. Also, the doctors pay due attention to conversations with young patients and their relatives, preparation for surgery and postoperative care. 1994 - 1998 Assistant Physician, National Cancer Centre, Sofia, Bulgaria, Department of Surgery. 1998 - 2004 Assistant Physician, National Heart Center, Sofia, Bulgaria, Department of Pediatric Cardiac Surgery. 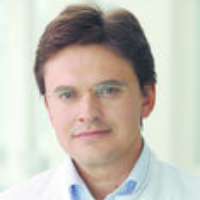 2004 - 2011 Assistant Physician, University Hospital Heidelberg, Department of Cardiac Surgery. 2011 - 2013 Senior Physician, Department of Pediatric Cardiac Surgery, University Hospital Heidelberg. 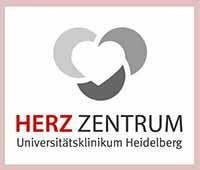 Since 2014, Head of the Department of Pediatric Cardiac Surgery at the University Hospital Heidelberg. 1988 - 1994 Study of Human Medicine, Medical University Pleven, Bulgaria. 1994 Admission to medical practice, Golden Hippocrates Award. 1999 Faculty of Medicine, Sofia University, Medical Specialist in General Surgery. 2004 Heidelberg University, admission to medical practice (Germany) after the state examination. 2007 Doctoral thesis defense at the Heidelberg University. Subject: "Tracheal stenosis and congenital heart diseases". 2007 Heidelberg University, Medical Specialist in Cardiac Surgery, North Baden Medical Association. 2008 Heidelberg University, Certificate in Pediatric Cardiac Surgery of the Society for Cardiothoracic Surgery. 2009 Training Course in Surgery for Congenital Heart Defects, Harvard Medical School, Boston. 2011 Habilitation and Venia Legendi in Surgery, Heidelberg University. 2013 Appointment as an Extraordinary Professor at the Heidelberg University. 1998, 1999, 2000 Scholarship of the Heidelberg University, German Cancer Research Center (DKFZ), Prof. Harald zur Hausen. 1999 Scholarship of the European Society of Surgical Oncology, Department of Surgery, University Hospital Heidelberg (Prof. Herfart). 2002 - 2004 Scholarship of the European Association for Cardio Thoracic Surgery (EACTS), Department of Cardiac Surgery, Heidelberg University (Prof. H. G. Borst). European Academy for Cardiac Surgery, Bergamo, Italy. 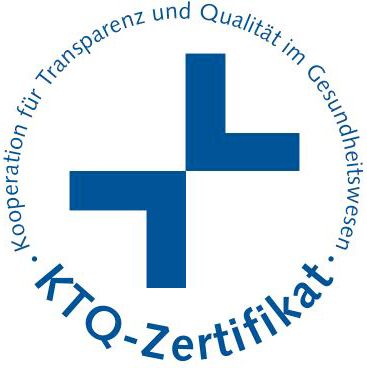 Member of the German Society for Thoracic and Cardiovascular Surgery (DGTHG). Member of the Bulgarian Academy of Sciences. Member of the European Society of Surgical Oncology (ESSO). Compression syndrome of the thoracic aorta in heart defects. Aortic arch and tracheal surgery. Cardiac surgery in premature babies. Psychosocial influence of congenital heart defects.